We are one of the known Manufacturers and Suppliers of Automatic Single Phase Liquid Level Controller based in Andhra Pradesh. Our high-performance Single Phase Liquid Level Controller uses a pump or valve keeping the level of liquid between low and high. The various levels of water are indicated by the LED. 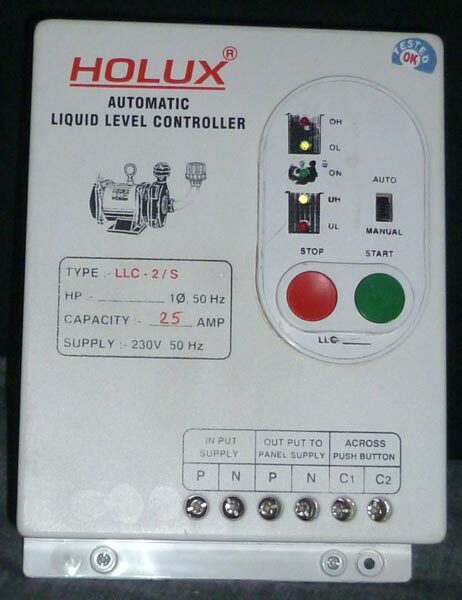 The power supply of this Level controller is 230V/50 Hz and it is made available in various other models.